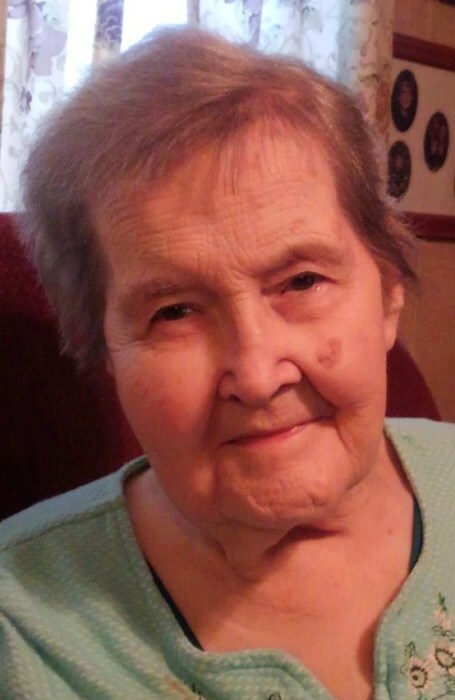 Ruth Elizabeth Livingston, age 84, of Mohawk, passed away Friday afternoon at Morristown-Hamblen Hospital. She was a housewife and member of Mountain Valley Baptist Church. Survivors include one son and daughter-in-law: Tim and Tammy Livingston of Mohawk; daughter-in-law: Margie Livingston of the St. James Community; grandchildren: Jason Livingston, Melissa Davis, Eleisha Patrick, and Isaiah Gray; several great-grandchildren; one sister and brother-in-law: Jeanette and Marshall Davis of Mohawk; several nieces and nephews. She was preceded in death by her husband: Berlin “B.E.” Livingston; two sons: Michael Livingston and Ricky Livingston; her parents: Horace and Freddie Lee Bible Crittenden; seven brothers: Horace L., Joseph, Harold, Willie, Clyde, Dan, and Ed Crittenden; five sisters: Zella Mae Dixon, Mary Brown, Dorothy Franta, Lucille “Cibie” Wattenbarger, and an infant girl. Funeral services will be held at 2 p.m. Monday at Mountain Valley Baptist Church with the Rev. Ronald Bunch and the Rev. Fletcher Porter officiating. The body will be taken to the church to lie in state thirty minutes before the service. Burial will follow in Fairview Cemetery at Mohawk. The family will receive friends from 2 – 6 p.m. Sunday at Doughty-Stevens Funeral Home. Pallbearers will be Jason Livingston, Brent Patrick, Ralph Reams, James Hayes, Leroy Turner, and Steve Owens. Flowers will be appreciated, however, if you wish to make a memorial donation, please consider Mountain Valley Baptist Church or Fairview Cemetery. The family wishes to express their appreciation to Jessica and the entire staff of Amedisys Healthcare.